BOOK NOW to ensure your team members receive the appropriate training. 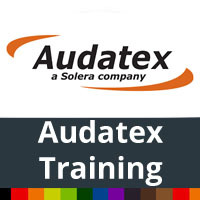 Audatex has reduced the cost and length of the Introductory Course (Basic Training). This TWO day course is designed to enable delegates to maximize the features and functionality of the Abuntex estimating system. Abuntex is constantly evolving, and this course allows you to take a “hands on” approach to constructing your own assessments and gain an understanding of how to use the system to its full potential. This course is ideal for new and existing Abuntex users. All costs exclude VAT and is valid for 14 days. In time one tends to forget some functionality and get into inefficient habits. For these reasons, members are strongly advised to attend an advanced course every two years, to learn about the new features, refresh their memories on best practice and move into more advanced features. The Audatex certification is only valid for two years, South African insurance companies and repairers insist that their assessors are up to speed and recertified every 24 months. If you have not attended Audatex training within the past 2 years you MUST attend an Advanced course to certify yourself and update your knowledge. Many enhancements have been implemented into the Audatex system over the last 24 months, these enhancement are made available to improve the produce and increase your benefits. Advanced training is essential as new system features directly affect everyday use of the system - saving time, improving productivity, and improving your bottom line. This interactive one day course is designed to enable delegates to understand and use the administrative functionality of the Abuntex estimating system. Abuntex is constantly evolving and this course allows you to take a “hands on” approach to the administrative functions and gain an understanding of how to use these functions to its full potential. This course is ideal for all Administrative staff and existing Abuntex users that needs to do Final Costing, Networking and Additional. AudaWatch is a web-based application that connects repair shops with their customers like never before. Repair shops can interact in real time with their customers by providing them daily vehicle status updates and photos. AudaInvoice is a rules-based repair claims settlement service which interfaces to Abuntex. The system has been designed to streamline the invoicing and payment process between body shops and their work providers. Please download and complete the application form below to reserve your space.